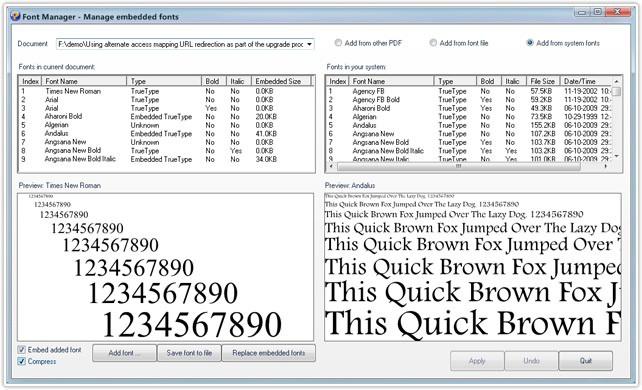 The "Font Manager" tool of PDFCool Studio allows the user to easily manage the fonts in PDF document. 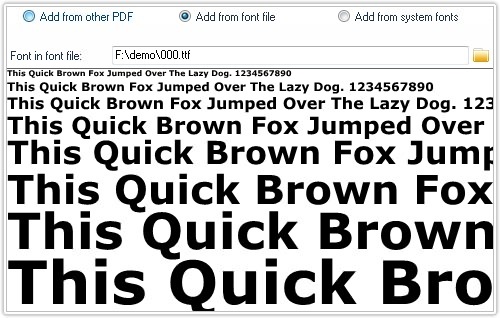 The user can embed a font from another PDF document, font file and system font to the chosen PDF document. The user can also replace all embedded Truetype fonts in the PDF document with a standard font. Add from system fonts: Choose "Add from system fonts" option, all fonts in your system will be added to the "Fonts in your system" list. 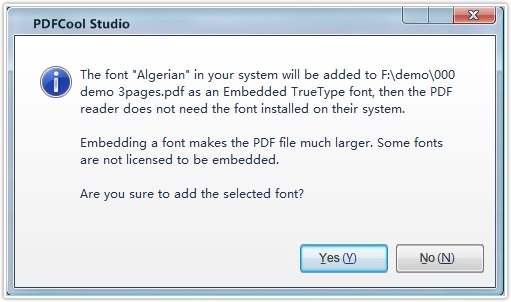 If choosing to add a system font to the PDF document, you can check the "Embed added font" options to add the font as embedded Truetype font to the PDF document. 5. Click "Apply" button to finish the adding font process. Click "Undo" button to retrieval the current options to original setting, and cancel the adding font process. 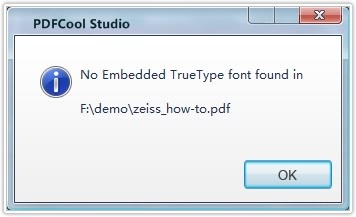 Replace embedded fonts: With the Font Manager tool, the user can replace All Embedded TrueType fonts in the PDF document with equivalent standard fonts. 3. Click "Apply" button to replace All Embedded TrueType fonts. Attention: This operation can not be recovered. Note: Click "Save font to file" button, the user can choose font from the font list, and then save to font file.